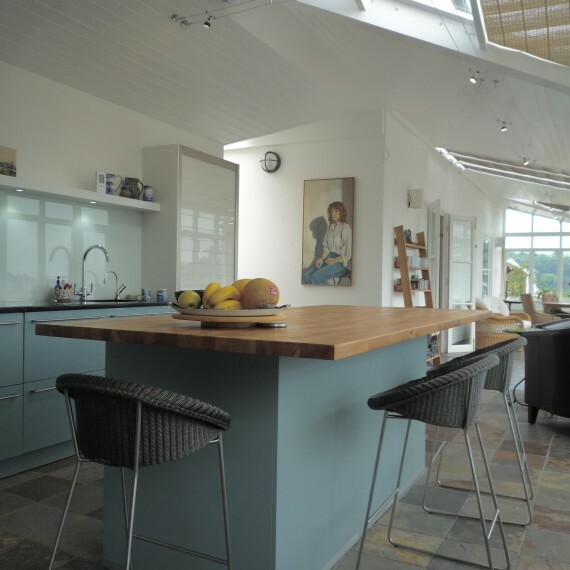 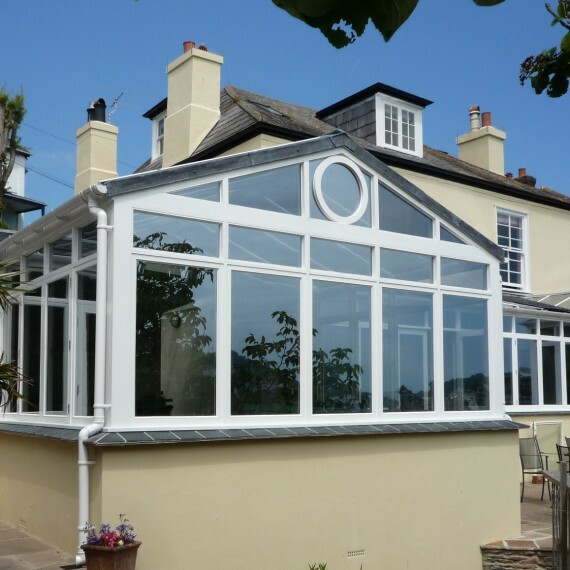 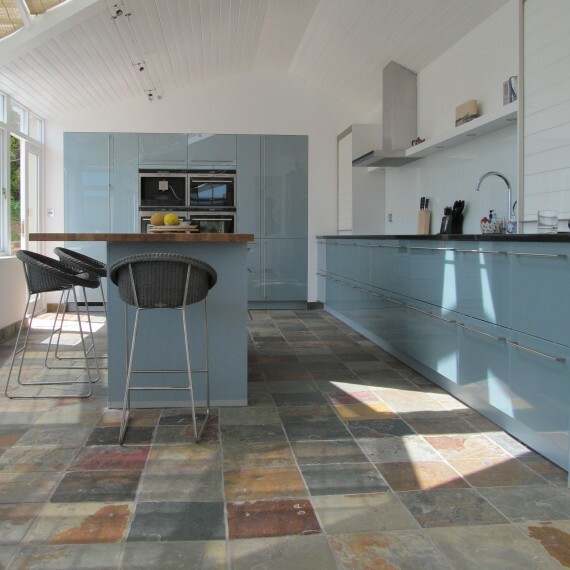 Geoff was originally asked to redesign the kitchen and utility room area at the rear of the house. 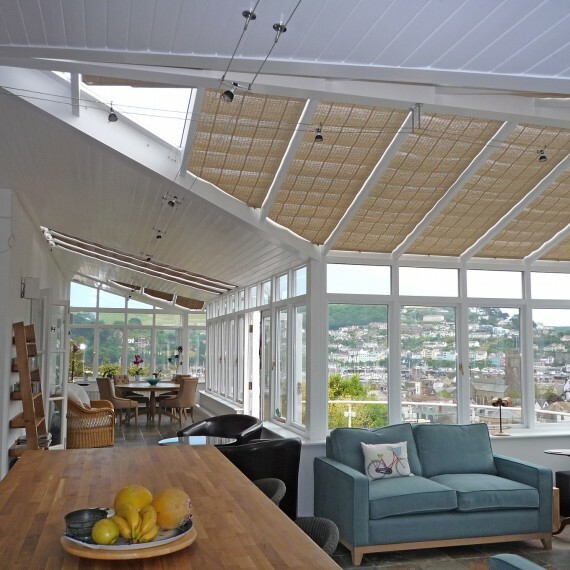 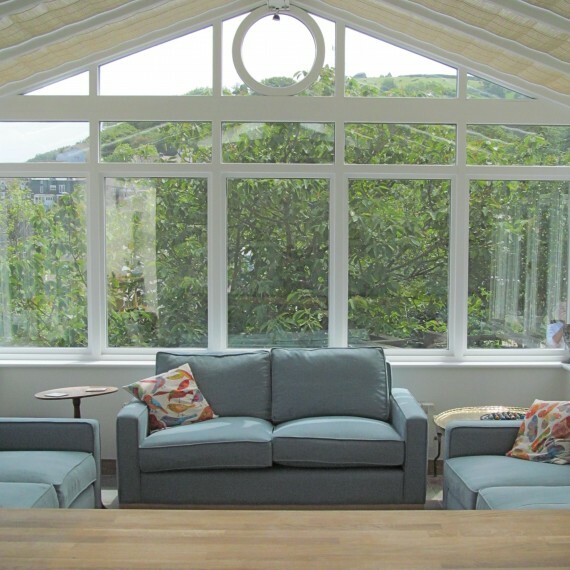 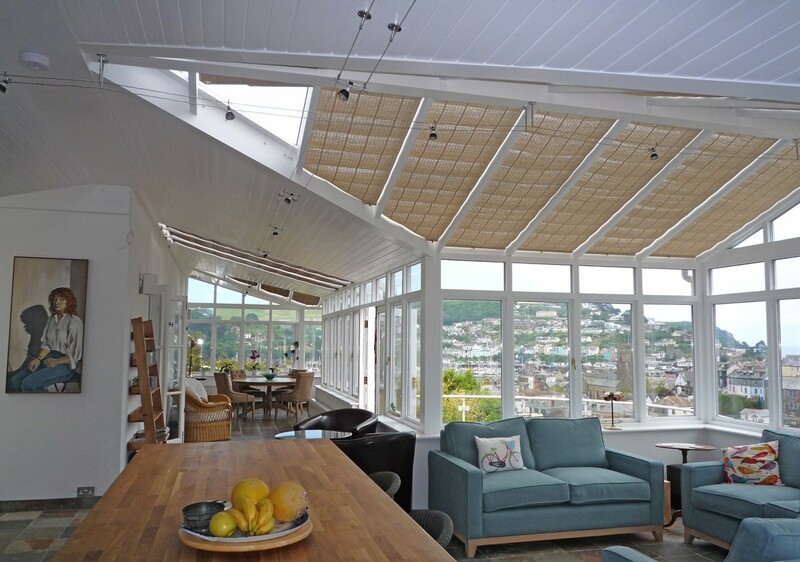 His solution was to turn the emphasis of the house around so that a new extension to the front, matching the existing conservatory, was created to accommodate a new contemporary kitchen, and seating area overlooking the river. 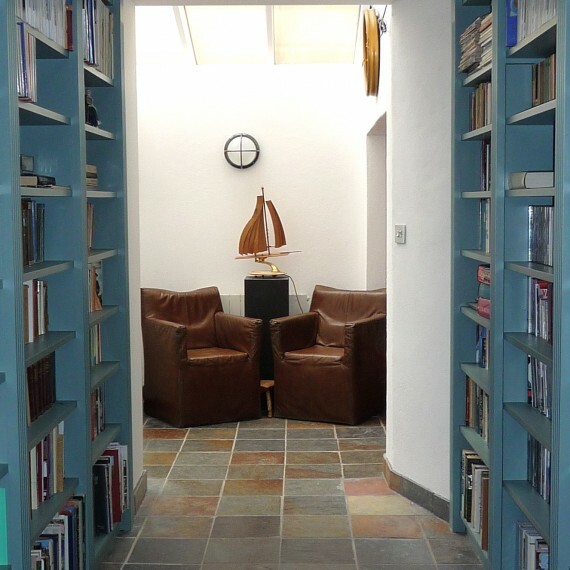 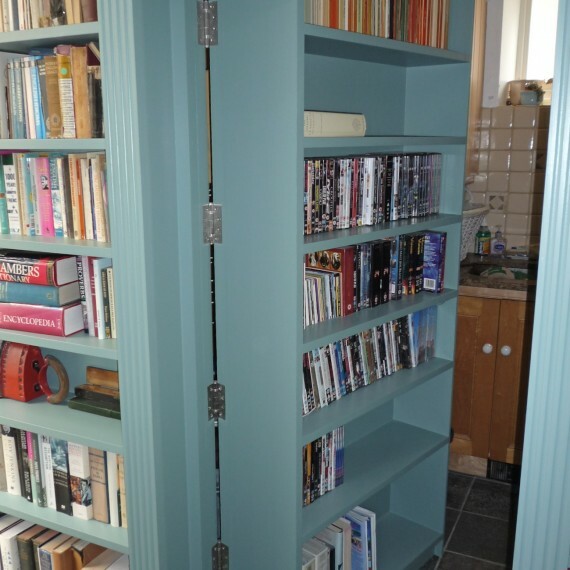 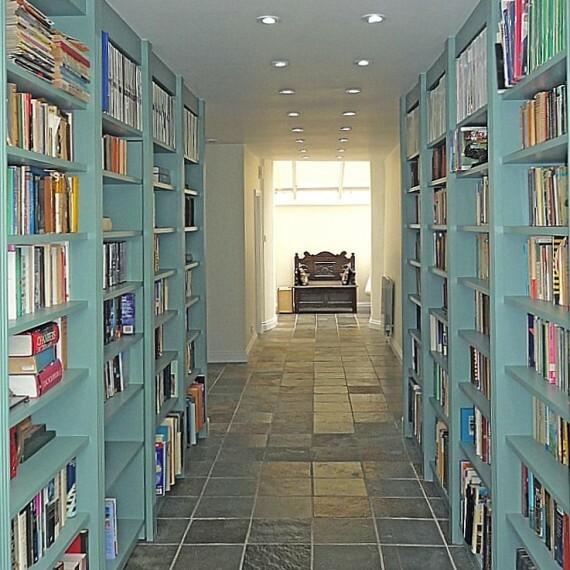 The rear corridor was enlarged and a library created hiding a secret door to the utility room.